The way that financial institutions determine credit card limits is a bit of a secret sauce thing – most people – including financial experts – have a basic idea about the process that financial institutions follow and the factors that they take into consideration but each of them is rather secretive about exactly how they do calculate an individual’s credit limit and the one thing that is agreed upon is that the process can – and does – change at any time. Here are some of the basics that are considered when a credit card issuer is determining a credit limit though. Most banks and other lenders have a general credit score range that use for credit card approval in general but once a person is approved for a certain credit card the lender looks at their credit score number again, a little more closely this time, to determine not only how much credit they should extend but in many cases how much interest they should charge as well. The way a credit score itself is calculated is a rather complex process as well and various factors weight differently when it comes to doing so. Usually your debt to income ratio, the amount of credit you already have available to you, your on time payment record on existing credit card accounts and any defaulted loans, slow pays and charge offs are all taken into consideration. As you can see from the table the range of scores that fall into each credit category is quite wide. That is why once approved for a credit card lenders will look st the number again and the higher you are to the top of the range then the more likely it is you will be rewarded with a higher credit limit and a lower interest rate. It is worth remembering that an individuals credit score can change rather rapidly. A few good, substantial on time credit card payments can be enough to significantly impact a lesser credit score in a positive way but on the other hand just one or two late payments can shave a lot of points off a good one. 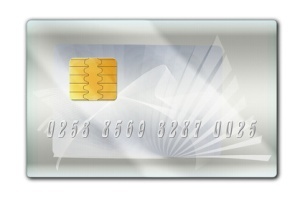 If you are applying for a credit card and want to try to maximize the credit limit you will be granted keep track of your credit score using one of th many credit monitoring services that exists today and file that application only when it is looking good and you have had no “blips” on your payments recently. And do not apply for more than one or two credit cards because multiple credit applications in a short space of time can drag your credit score down as well. As the credit crunch hit there is no doubt that banks and other lending institutions made some significant changes to not only their credit card approval standards but to the way that they determined credit limits as well. There are those finial analysts – including some of the good folks at the US Federal Reserve – who believe that many of the banks and financial institutions that issue credit cards have begun “spying” on their customers to help them determine just what credit limit to grant certain individuals. Thanks to the Internet and the massive increase in the number of people who prefer to pay for their non credit card purchases with a VISA or MasterCard branded debit card instead of cash or a check there is a lot more information out there that banks can legally look at to help them determine a customer’s “real” credit risk. Shopping habits on a a debit card are easy to obtain and people voluntarily post information about their education and work history on their social networking profiles and many believe bank have a look at these things too, granting higher limits to those with higher education levels or a steadier work history. In the end there is a lot you can do to influence your credit score but what you can actually do to influence the credit limit attached to them is unclear. After the credit crunch hit some credit card customers complained that their financial institutions suddenly slashed their credit limit or hiked their interest with very little in the way of explanation. And the days of calling your credit card company to merely ask for a credit limit raise and actually being granted one seem to be numbered as well. But What Are Average Credit Limits Like? Although you have no way of really knowing what your credit limit might be, either when you are first approved for a credit card or at some point down the road, there are averages you can look at, based on various consumer surveys rather than on actual information from lenders themselves. According to my FICO.com in 2011 the average consumer has an average total credit card limit of about $19,000 spread across an average of nine credit cards and store cards, working out to about $2,000 per card. Other surveys have found that a consumer with excellent credit can still realistically be granted a credit limit of $6,000 to $8,000 on the higher limit credit cards that their credit scores make them eligible for but that a consumer with fair credit should not expect very many credit card companies to offer them a credit limit any higher than around that $2,000 mark.